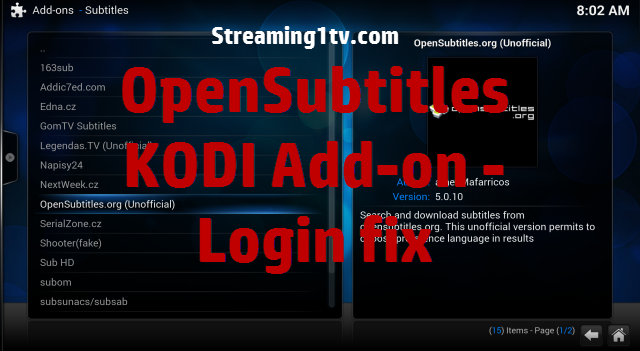 Recently we displayed message message in KODI while using OpenSubtitles subtitles add-on: “In order to continue OpenSubtitles.org subtitles service you need to Log In”. In this article we describe how to fix this . Step 1: From your computer, Navigate to register on OpenSubtitles.org, and fill out the form to sign-up for free!